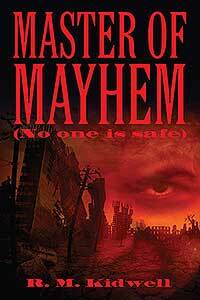 R. M. Kidwell’s “Master of Mayhem: (No one is safe).” Isaac Lenin Stinch is worse than the Antichrist. Isaac is on a divine mission to destroy mankind for their evil deeds and will stop at nothing. Hundreds of thousands are dying in Los Angeles and New York will be next. Absolutely no one is safe. Can this mass murderer be stopped? Who can stop him?